Who What Wear's sparky and super-stylish U.S.-based Editor, Allyson Payer, recently visited London, and—as you could surely predict—our conversation fell onto the topic of fashion right away. There were many areas in which our thoughts were aligned, but what we both found most interesting was the apparent divide between how British and American girls approach getting ready for a night out. I had mistakenly assumed that all ladies across the globe do the same thing as those I know in London—we wear what we've been wearing all day at work, our wardrobes are curated to function 24/7 and we don't tend to buy specific items to party in, unless there's a seriously big event on the horizon. The only time we may relent into something super-pretty or OTT is usually when there's a knowing, ironic nod to be had—like in Molly Goddard's super-saccharine tulle frocks. According to Allyson, this is entirely the opposite of an American girl's process, where meticulously mapping out after-dark ensembles is the norm. "American girls' evening outfits are distinctly different from what they wear during the day. They take it is an opportunity to show a little more skin, wear a bit of a higher heel and dress a little fancier," explains Allyson. "We have specific wardrobes just for going out, and we plan our outfits for nights out in advance, often even purchasing something new if we're going somewhere special. An American girls' go-to night-out outfit is usually a fun top ('going-out tops' are their own category over here), jeans or leather pants, statement heels and a cool pair of earrings." So, armed with each of our insights on the subject, we set out to find visual examples of typical night-out looks for both American and British girls, along with some of the pieces that we think are perfectly suited to replicate the respective vibes. And guess what? We really are a sartorial ocean apart! 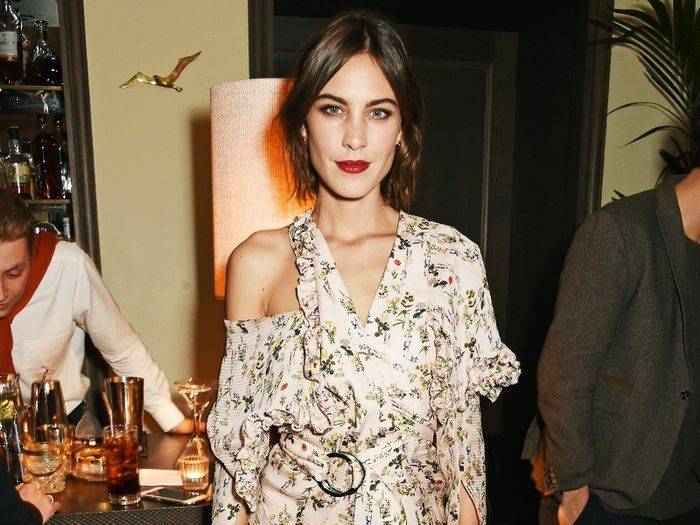 Keep scrolling to see fashion girls from both London and the U.S. dressed for a night out, and shop the pieces that just might inform your next night-out look. Which girl do you relate to the most when it comes to night-out style? Tell us in the comments!